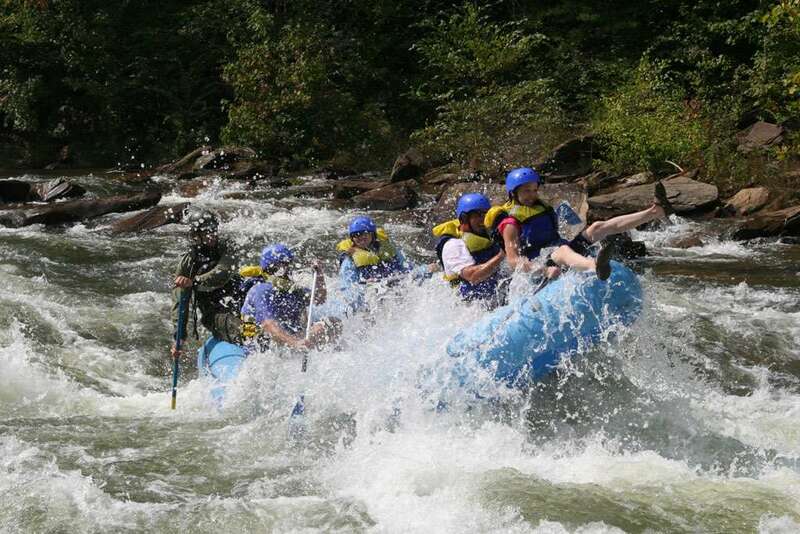 If you love whitewater rafting or are just curious about it, you owe it to yourself to try Ocoee river. This natural beauty is one of the most popular choices for serious whitewater rafters, amateurs and anyone who just wants to have fun. Thousands of people travel to the Ocoee each year to build camaraderie, create a lifetime of memories and get some adrenaline pumping. The Ocoee is a 93-mile-long river that runs through the Appalachians and into Tennessee and Georgia. This river is extremely popular with whitewater rafters thanks to the following 10 qualities. Whitewater on the Ocoee River, and you can pass through the beautiful Cherokee National Forest. Take in the stunning views of the forest, trees, nature and even mountain peaks while having this thrilling adventure. The water sparkles and the sun shines, and you can enjoy it all while you surround yourself with green spaces and natural scenery. When you choose the Ocoee, you choose a whitewater river right in the center of everything. In addition to the natural beauty of the spot, you’ll be close to both Ducktown and Chattanooga, so when you hop out of the water there will be plenty more to see. You can even go hiking in the Appalachians after your river trip. If you’re traveling with a group, you’ll love that there’s something for everyone to try. The Ocoee was the site of the 1996 Olympic Games whitewater, kayak and canoe competitions. Usually, the Olympic games have to build an artificial area for this type of competition, but the Ocoee is so ideal for water sports that to this day it’s the only natural river that has ever been used for an Olympic canoe and kayak event. Wouldn’t you like to try whitewater rafting in a spot that even the Olympic Games found ideal? You might expect that taking a river trip to an Olympic-level river means you need to be a pro, but the Ocoee is Class IV. It has sections that are classes I, II and III, so it’s ideal for any experience level. Whether you’re part of a first-time youth group or a team of whitewater fanatics, you’ll find a section of the river that’s perfect for you. Ocoee whitewater rafting is available to anyone who’s twelve years of age or older, so bring the whole family or your whole company for hours of fun! The Ocoee has enough to keep you entertained for a full day or just a few hours. The area around the river was known for its beautiful wild apricots, which grew in the region before European settlement. In fact, “Ocoee” is the Cherokee word for wild apricot. The river has flooded and even run dry at times. In 1983, Congress worked to get an agreement in place to ensure water was released into the river to save whitewater recreation in the area. Can so many people be wrong? The middle section of the river is the number one most popular whitewater river destination in the United States, with more than 250,000 visitors annually. Visit yourself to find out why so many travelers choose to come back year after year. The Ocoee offers rafting and zip-lining, but that’s not all. Parts of the river become more gentle, allowing for kayaking, canoeing, boating and other recreation. Surrounding areas are perfect for mountain biking, hiking and other activities. The nearby Chattooga River offers additional challenges and options for your group or for your own solo adventure. The Ocoee is actually named the Toccoa River when it enters Georgia. This section of the river has calmer waters and is a great spot for fishing, tubing and quieter outdoor adventures. Whether you’re looking for hotels, easy driving, parking, tours or other amenities, the Ocoee has it all. The area has been built to serve tourists and serious athletes without compromising natural beauty, so you can easily get around, drive in and get the accommodations you need. You can stay comfortable on large group trips and smaller excursions by yourself with the restaurants, campgrounds, cottages and other amenities and lodging nearby. The Ocoee is dam-controlled, meaning there’s plenty of reliable water flow and a predictable schedule. You don’t have to worry about water conditions. The water is also warm and has big waves as well as 30 named rapids. You can rely on the Middle Ocoee for class III and IV white water and more than 20 rapids and on the Upper Ocoee for class IV white water. The Ocoee is most popular between Memorial Day and Labor Day, but Raft1 has trips into late October, giving you more time on the river. During the summer, about 1,250 cubic feet of water are released per second, giving everyone a thrill. 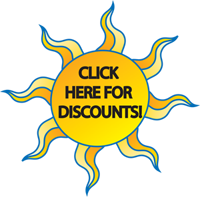 Unlike with many top tourist attractions, you won’t have to pay top dollar for fun at the Ocoee. Once you enter the area, you can hike around the river or even picnic by the water. Raft1 has affordable tours and adventures you can try if you need help from experienced tour guides and rafters. If you’re ready to enjoy all that the Ocoee has to offer, check out the tours and packages available with Raft1. We provide special options for corporate team-building needs, solo adventures, family vacations and more. Our expert guides are certified in First Aid and CPR and have training in Advanced Swiftwater Rescue. 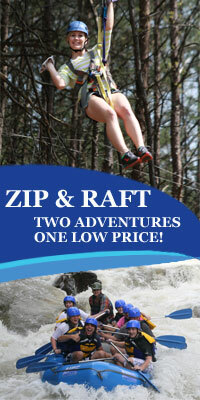 They know the Ocoee and can help you enjoy a wonderful, adrenaline-filled thrill while keeping you safe. Contact Raft1 today with any questions you have, or reserve your spot on the river today. Get ready to take the plunge into an experience you’ll never forget!